7. Frisch, H. P., Coupled Thermally Induced Transverse Plus Torsional Vibrations of a Thin-Walled Cylinder of Open Cross Section, NASA X-732-69-530, GSFC, Dec. 1969. 8. Goldman, R. L„ Influence of Thermal Distortion on the Anomalous Behavior of a Gravity Gradient Satellite, AIAA Paper No. 74-992, Aug. 1974. 9. Goldstein, Herbert, Classical Mechanics. Reading, MA: Addison-Wesley Publishing Company, Inc., 1950. 10. Gotts, H. S. and M. E. Plett, Determination of .Nutation Amplitude From Measured Period Variation, Comp. Sc. Corp., 910I-16600-Q2TM, April 1973. 11. Gray, C. M., et al.. Attitude Dynamics Data Simulator (ADSIM), version 3.1, Comp. Sc. Corp., 3000-06000-02TR, Sept. 1973. 12. Heinrichs, Joseph A., and Joseph J. Fee, Integrated Dynamic Analysis Simulation of Space Stations with Controllable Solar Arrays. NASA CR-112145 Sept. 1972. 13. Jacobi, C. G. J., Journal fur Math., Vol. 39, p. 293, 1849. 14. Kaplan, Marshall H., Modern Spacecraft Dynamics and Control. New York:. John Wiley & Sons, Inc., 1976. 15. Kibble, T. W. B., Classical Mechanics. London: McGraw-Hill, Inc., 1966. 16. 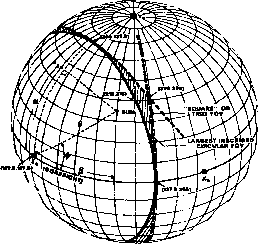 Kraige, L. G. and J. L. Junkins, "Perturbation Formulations for Satellite Attitude Dynamics," Celestial Mechanics, Vol. 13, p. 39-64, Feb. 1976. 17. Lawlor, E. A., R. M. Davis, and D. L. Blanchard, Engineering Parameter Determination From the Radio Astronomy Explorer (RAE-I) Satellite Attitude Data, AIAA Paper No. 74-789, Aug. 1974. 18. Likins, P. W., Dynamics and Control of Flexible Space Vehicles, JPL, Jan. 1970. 19. MacMillan, William D., Dynamics of Rigid Bodies. New York: McGraw-Hill, Inc., 1936. 20. Meirovitch, Leonard, ed., Dynamics and Control of Large Flexible Spacecraft, Proceedings of the AIAA Symposium, Virginia Polytechnic Institute and State University, Blackburg, Virginia, June 13 to 15, 1977, 1977. 21. Milne-Thomson, L. M., "Jacobian Elliptic Functions and Theta Functions," and "Elliptic Integrals," Handbook of Mathematical Functions, Milton Abramowitz and Irene A. Stegun, editors. New York: Dover, 1965. 22. Modi, V. J., Attitude Dynamics With Flexible Appendages—A Brief Review, AIAA Paper No. 74167, Feb. 1974; J. Spacecraft, Vol. II, p. 743-751, 1974. 23. Morton, Harold S., Jr., John L. Junkins, and Jeffrey N. Blanton, "Analytical Solutions for Euler Parameters," Celestial Mechanics, Vol. 10, p. 287-301, Nov. 1974. 24. Neville, Eric Harold, Jacobian Elliptic Functions. Second Edition, Oxford: Oxford University Press, Inc., 1951. 25. Synge, John L. and B. Griffith, Principles of Mechanics. Third Edition, New York: McGraw-Hill, Inc., 1959. 26. Synge, J. L. and A. Schild, Tensor Calculus. Toronto: University of Toronto Press, 1964. 27. Thomson, William Tyrrell, Introduction to Space Dynamics. New York: John Wiley & Sons, Inc., 1963. 28. Whittaker, E. T., A Treatise on the Analytical Dynamics of Particles and Rigid Bodies. Fourth Edition, Cambridge: Cambridge University Press, 1937.